After short stints living in the Medical Center area, Stone Oak and Converse, a young couple ready to nest with two small children found a new home in Alamo Heights that was the perfect place to perch. 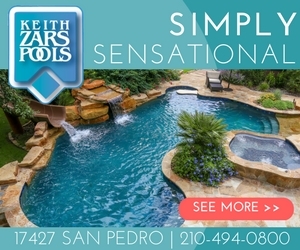 Located on a quiet street lined with mature trees, Katherine and Jack Trimble – who had moved their family to San Antonio to complete Jack’s pediatric residency – found a new spec home with family-friendly charm. 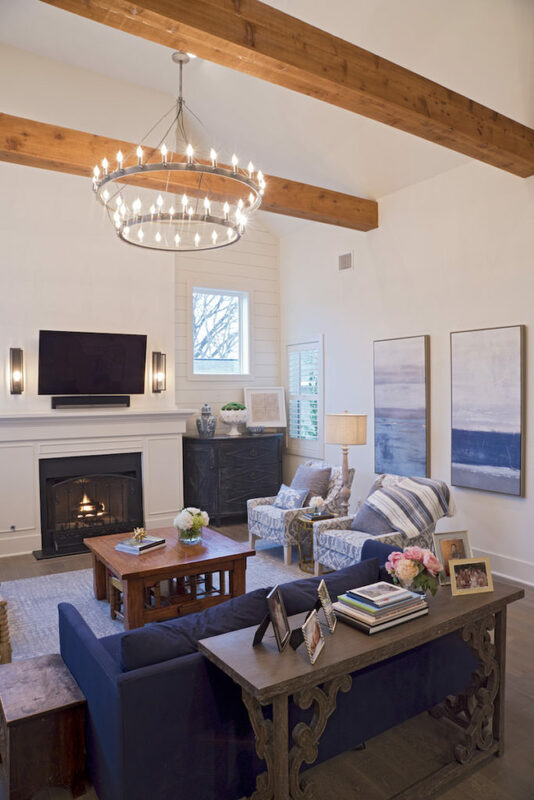 Offered by the build and interior design team of Dy Lynne and Jack Dabney, the home imbued casual family living with a coastal farmhouse vibe, set in a neighborhood of well-maintained older homes. “We both like the look of older homes in the neighborhood and wanted to keep that look on the street,” emphasized Dy Lynne Dabney who, with her husband Jack, live just down the street and welcomed the new neighbors to the community. With two active children, William, 4, and Eleanor, 2, the Trimbles were on the search for a home close to St Luke’s Episcopal School where the children attend classes. With a close friend from her middle school days in Houston now living in San Antonio, Katherine has acclimated to the community quickly. And many friendships have been formed with St Luke’s families and friends of their children. Entertaining is essential to the talented host and it is reflected in her home’s welcoming style. The kitchen island of white Carrera marble anchors the open concept area that invites family and friends into the heart of the home. 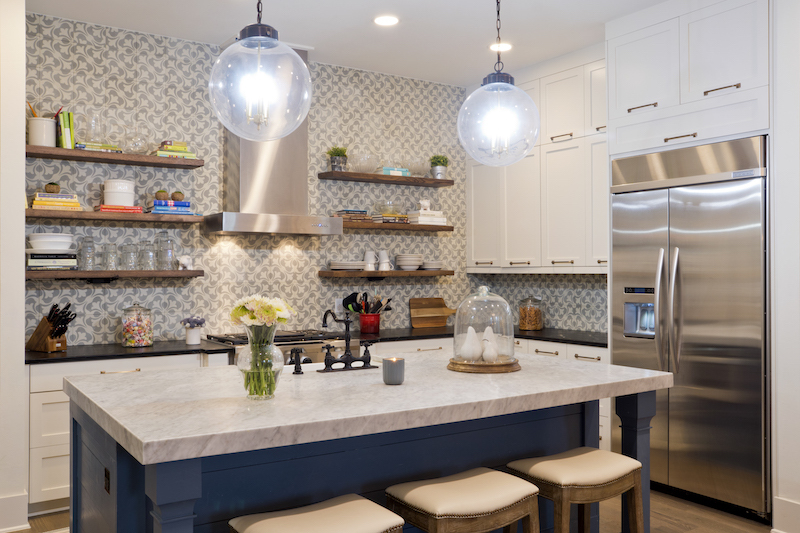 A dramatic backsplash of hand made cement tiles in muted gray and white run from the black soapstone backsplash to the ceiling. Globe pendants of dark rubbed bronze with brass candelabra add sophisticated appeal to the setting. Reclaimed wooden shelves hold cookbooks, mixing bowls and dishware at the ready. A white farmhouse sink and black iron bridged faucet add rustic charm. A professional photographer, many of Katherine’s family portraits grace the walls of their home. Just off of the kitchen is a retreat where she has an office and workspace for photographic endeavors. A wooden farmhouse table seating eight from Joyeux Home Décor is home to Katherine’s monthly gatherings where some of her girlfriends compete in a friendly card game of Onze. Country French Chairs covered in white linen and a pair of captain’s chairs in oatmeal linen seats eight comfortably under a black lantern light. A built-in bar with wine refrigerator keep libations close at hand. Getting into the community spirit, Katherine and Jack are planning their second annual Fiesta Party complete with a taco truck, mariachis and Fiesta medals for April. Volunteering at St Luke’s, Katherine also participates in Parent Parties, where she hosts groups of school parents for “fundraising” activities. Scheduled for completion this summer, party plans are spilling into the outdoors where the couple is putting in a swimming pool, outdoor kitchen, fireplace, and pergola for respite from the summer sun. Having found a place to call home, the Trimbles are graciously welcoming family and friends to their city of beauty and charm with heartfelt hospitality. Stained pine beams and a metal two-tier chandelier soar above the living room where a black honed granite fireplace with custom millwork mantle bring warmth to the transitional setting. A pair of tall distressed black Demilune consoles bookmark the fireplace providing storage. Blue velvet upholstered sofa and blue and white patterned fabric on the washed wooden legged arm stairs give the room its casual, coastal vibe. A favorite painting given to Katherine from her mother’s collection is displayed in the entry hall where a Country French settee with rattan seat is softened with a down-filled custom welted seat cushion accented with a blue and white lumbar pillow. Carrera marble island counter anchors the light-filled kitchen where black soap stone countertops contrast with pale gray and white backsplash of hand made cement tiles reaching ceiling height. Stainless steel appliances, bronze and brass lighting fixtures, black farmhouse faucet and brass hardware that is hung horizontally on cabinets and drawers add panache. Stools are covered in Sunbrella fabric for kid- friendly use. German smeared mortar over an accent wall fashioned from the home’s exterior brick punctuates the rustically casual dining space. A massive black lantern hangs from the recessed ceiling illuminating the hand-hewn farm table surrounded by French country chairs dressed in cream linen. Two captain’s chairs upholstered in oatmeal linen flank each end of the table. 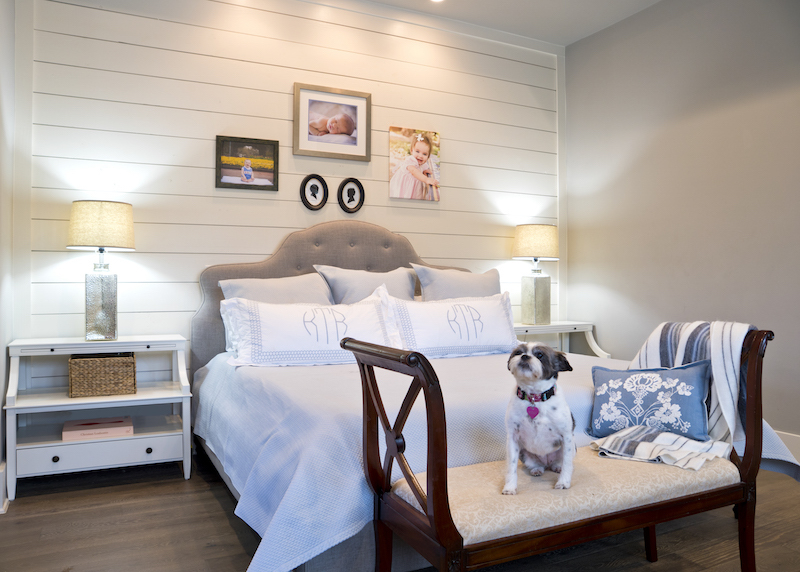 A shiplap wall in the master bedroom brings farmhouse tranquility to the private quarters where photography and children’s silhouettes are displayed. Hand embroidered linens and bedding from Lin Marché. One of the three family dogs, Little Molly, holds court on a bench that once belonged to Katherine’s mother. The bright, floral wallpaper was a favorite from her daughter’s room in Stone Oak. Katherine loved the wallpaper and contacted designer Kim Wolfe to order the same paper for the new room. Built around the white barley twist day bed, custom shelves hold books, dolls and mementoes. Brass legged and rose velvet chair from Anthropologie. Built-ins with straw baskets labeled with chalk paint tags for toy storage bring order to the playroom where a pint-sized white wooden table with chairs host tea parties and creative endeavors. A comfy upholstered armchair and ottoman from Katherine’s family vacation home on Lake Travis. Re-upholstered in emerald green cotton velvet, the chair was a piece that she grew up with as a child. Herringbone patterned tile with light grout make the flooring in the master bath pop. Soapstone on the counters with twin square farmhouse style vessel sinks and black metal orb lighting brings high style to the retreat where the deep soaking tub topped with black soapstone surround is clad in rustic shiplap. Plantation shutters ensure privacy while allowing filtered light into the space. 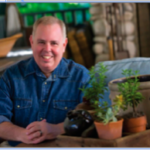 With over 30 years of journalistic experience, John G. Bloodsworth has covered the gamut of lifestyle stories from interviews with leading regional architects, urban planners and cutting-edge designers to stories about homeowners revealing fascinating features on modern living. 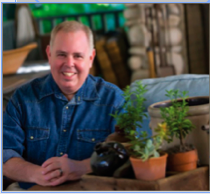 With a journalism degree from Texas State University and a concentration in public relations, he began his career with the Pitluk Group, overseeing public relations and advertising activities for the San Antonio Stock Show & Rodeo. He has written for national, regional and local publications and is currently a contributing writer for magazines covering architecture, design and cultural trends. Bloodsworth also has a design firm, Little Cabin, that sources heirlooms and unique finds for ranches, coastal getaways and urban environments for retail and residential clients.